U.S. Grade A is the highest quality of extracted honey. It is judged to have the best flavor and clarity. 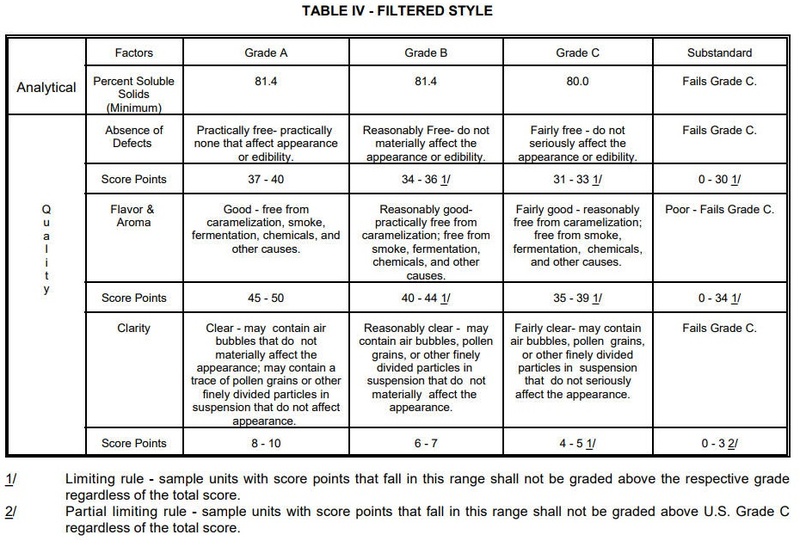 See its requirements in Table IV or V below, with a minimum total score of 90 points. 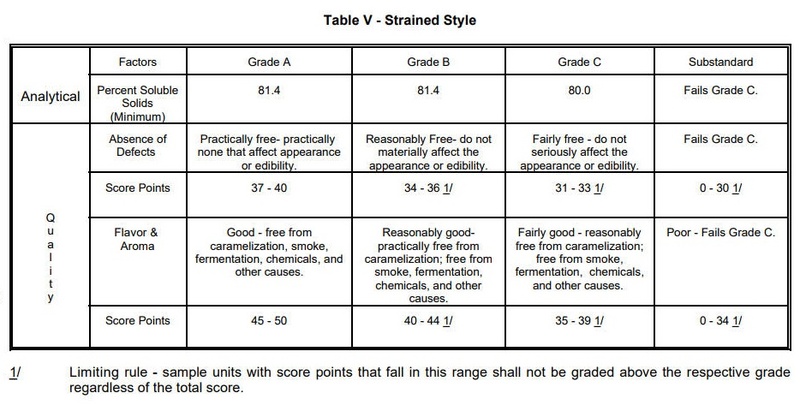 U.S. Grade B is the second best quality of honey, with a minimum total score of 80 points. from the tables below. U.S. Grade C is the lowest grade of extracted honey, with a minimum total score of 70 points. Substandard means the honey has fewer than 70 points and does not meet the requirements of U.S. Grade C.